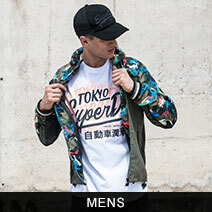 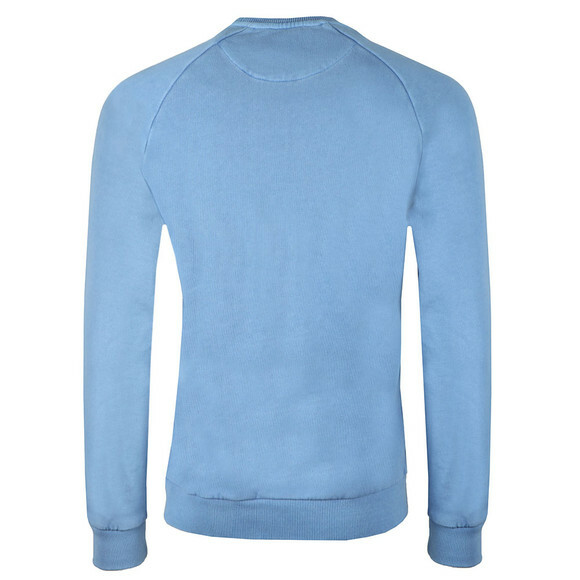 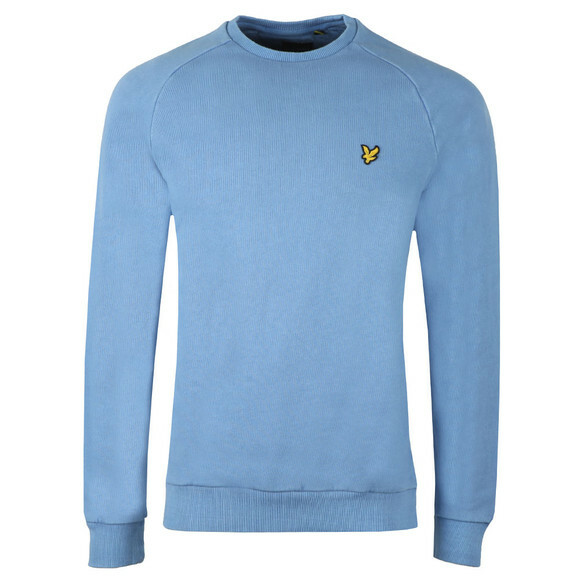 Lyle & Scott Washed Sweatshirt in Cornflower Blue. 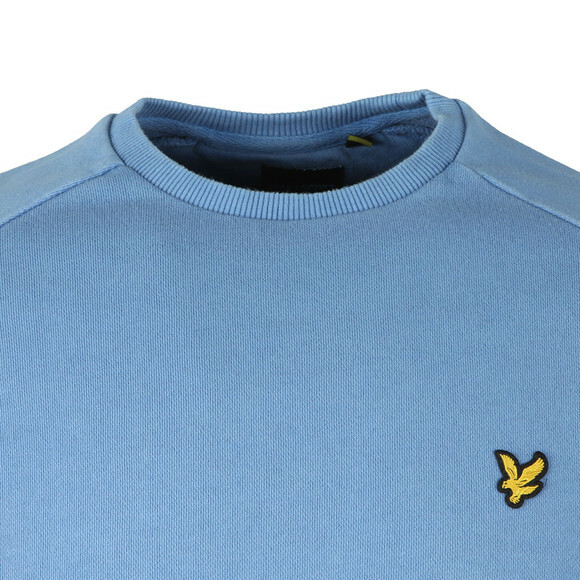 A classic crew neck sweater with fitted cuffs and hem and a golden eagle logo on the chest. Given a washed look using special garment dyes.